At the beginning of June it was 7 weeks until the school summer holidays and I decided to start saving money in preparation. Given that today was the first day and the kids were eating their packed lunch at 10.30am I’m glad I saved up! How can they go all afternoon at school without a snack but they look at me like they’ve never been fed if they aren’t eating hourly in the holidays? It’s felt like the longest 7 weeks ever but the planning/budgeting went well. 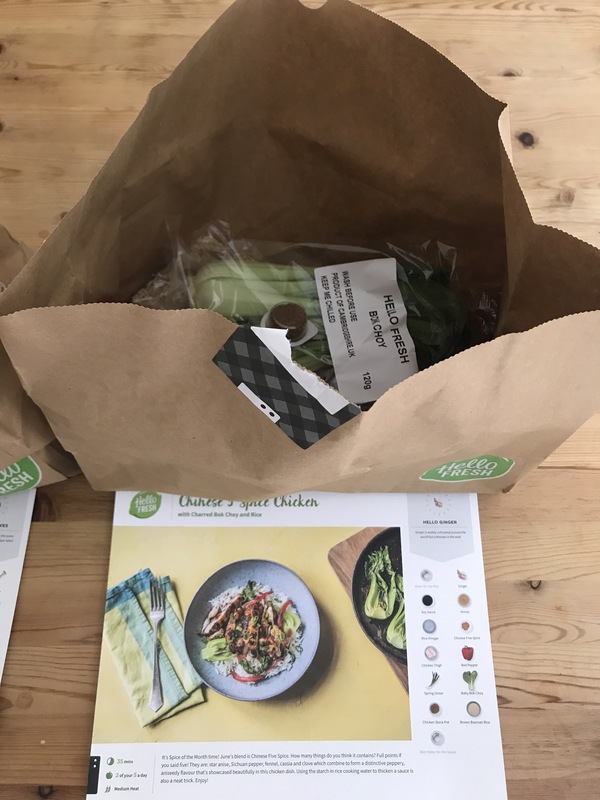 We switched from Tesco online shopping to Asda. Mainly because our annual delivery saver had run out and Asda were offering a month free trial but now I’ve used them Asda are much cheaper. I’m actually enjoying Asda more because they email the substitute list in advance so you know what to expect and you can just click a button to do the 10% price promise and I’ve had loads of vouchers already. I will miss getting clubcard points though as I get lots of meals/days out from those. Trying to eat on a budget I do feel like I’m not feeding the kids quite as much veg as I was previously so I couldn’t keep that going continuously. However they do have school dinners so they *should* be getting some nutrients from there. 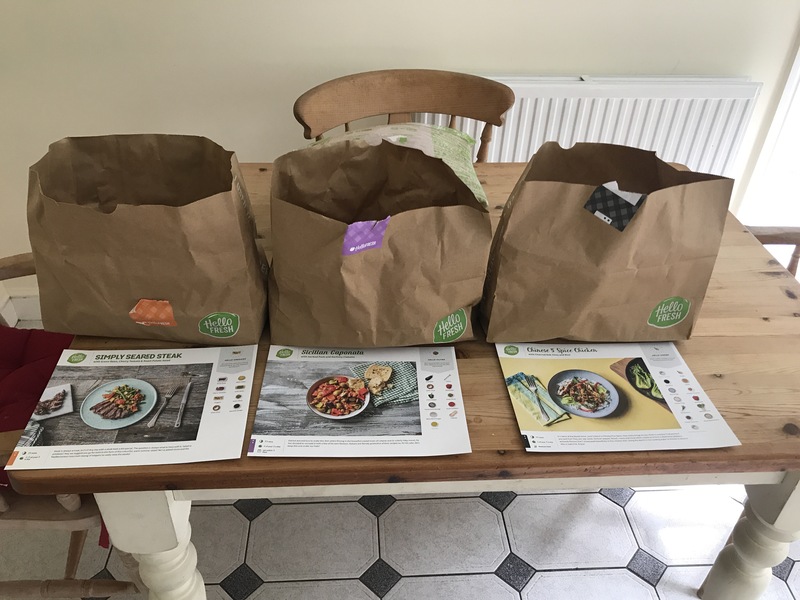 I’m not saying they didn’t get any but usually I try to give at least 2 or 3 fresh veg with each meal but I was restoring to cheaper pasta dishes and jacket potatoes which meant less veg than usual. 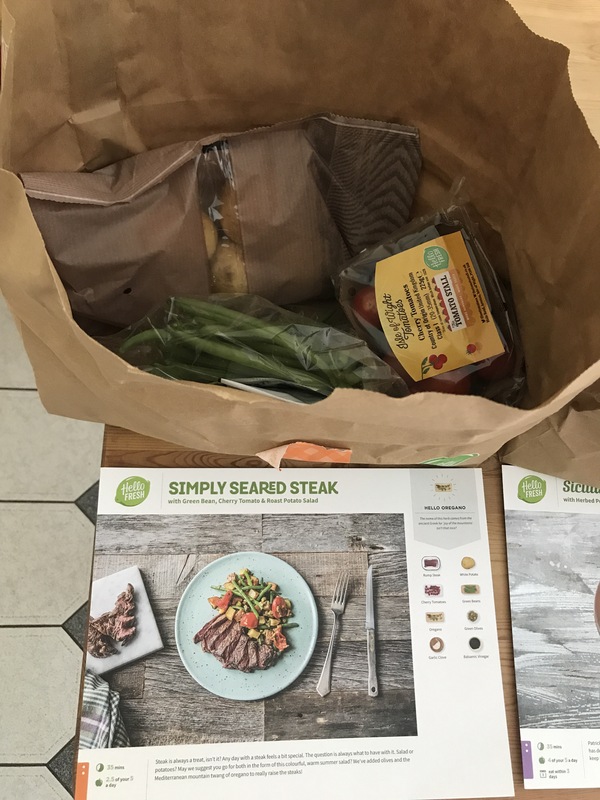 When we got to the final weeks we saw on Groupon an offer for a Hello Fresh box for just £11.99. This was a classic box for 2 people containing 3 meals. They are usually £34.99. Well…I usually laugh at these because I am capable of cooking and finding recipes so £34.99 is a ridiculous amount but £11.99 for fresh food after the past 7 weeks seems like a bargain so I decided to order one.My neighbour was particularly surprised as she knows I’m not normally this extravagant so I did have to explain that I hadn’t gone completely mad and it was on an offer. 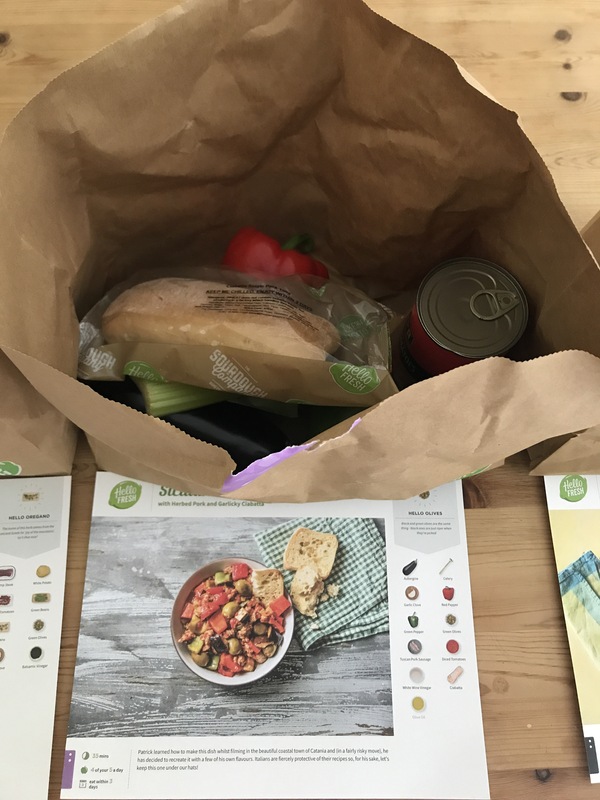 The meals are so easy to prepare and you get the recipe cards with the exact ingredients on so you can make them again in the future. Because they must be able to make a profit on them even at a discounted price all the ingredients are fairly cheap which means I can add them to my cheap meals list going forwards…yet they look impressive. 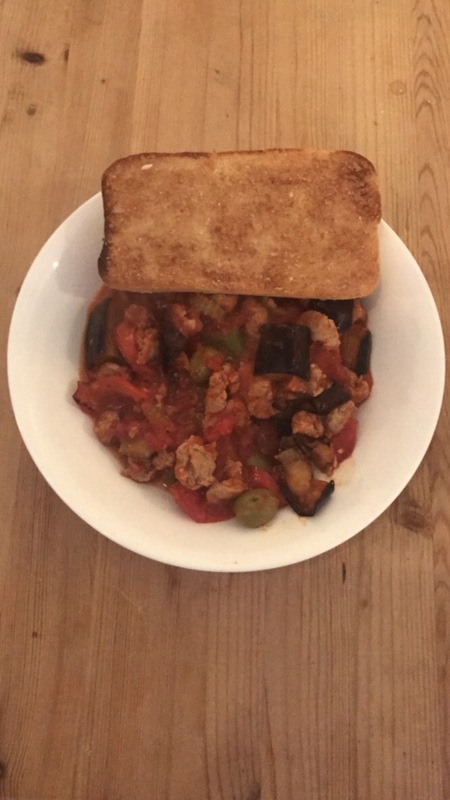 On the first evening we made Sicilian Caponata which had Garlic Ciabatta to serve with it. We often make our own garlic bread but this is so much nicer that we will be definitely using the tips from this again. 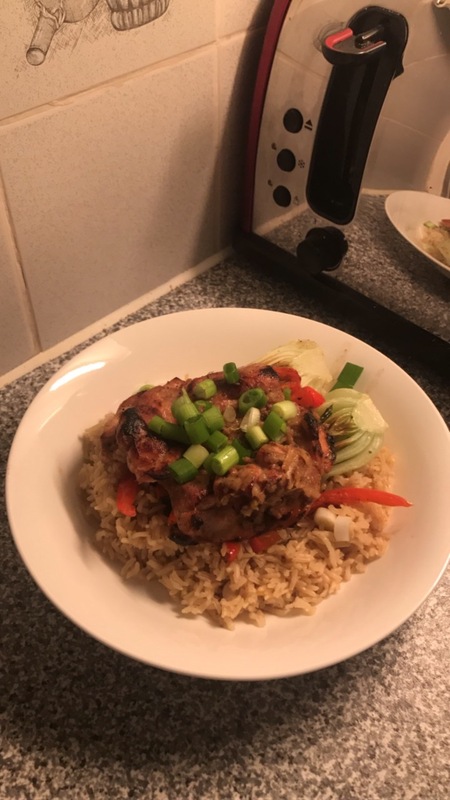 I wanted burgers as one of the other choices but Steffan really wanted the Chinese 5 Spice Chicken so I gave in as I had pretty much chosen the other two. I wasn’t looking forward to it at all as spicy and rice doesn’t really appeal to me but I’ve fallen in love with it! This evening we have Simply seared steak which I’m looking forward to the most. I hope it doesn’t disappoint. I cancelled the subscription as soon as I got my delivery as I refuse to be sucked into paying the full price but I am already feeling sad that I’m on to my last box. I wouldn’t pay the full price but there are so many vouchers/offers around I would definitely pay for a discounted one. I will also be looking on the app/website just to be getting ideas of recipes going forwards because like I said it’s prepared to make a profit so they must be cheap meals overall. The kids have absolutely loved having a menu on the fridge. Romeo loves it as he has just started to be able to read. Lottie loves it so she knows what to order at lunch at school. It always makes me laugh that they look forward to certain days and they are usually the most basic meals. Also cutting costs I’ve switched over to a lot of supermarket own make items. I have switched to 38p Asda tomato ketchup. I was ridiculed by a friend for this and so now I feel I should buy a separate one to just put out for guests but the kids eat/waste so much of it and they can’t tell the difference that I’m saving around £70 a year on it! After eating lunch at 10.30am the kids were asking for snacks at lunchtime. They always want “Bear snacks” I think they are actually called yo yo snacks or something like that. They cost a fortune as they are healthy fruit ingredients rather than sweets. They are nearly £3 for a box of 5 or around £2 on an offer but they don’t fill them at all. They are literally like eating air. So I’ve refused to have them in and now if they are hungry they have to have toast or something that is actually filling else I’m going to be bankrupt on blooming bear snacks. Must say I’m looking forward to eating whatever I like on holiday but 3 weeks away is a a long time and I’m sure I will be grateful to come back to simple food for a few weeks so I might start it all over again to save for our October holiday. Activity wise we have made the most of our David Lloyd memberships and our Merlin Annual passes alternating each weekend. The kids love going into the kids club and get 1.5-2 hours “free” on a Saturday and a Sunday. We are lucky that they are socialable and enjoy this club rather than them feel like it’s a chore being put in. July was particularly cheap as it seemed like every child in the school had a birthday party we were invited. Birthday parties are annoying as they are in the middle of the day and stop you doing much else, but when you are trying to save money they are amazing! They are the main focus of the day, they wear the kids out and they totally love them. To be super tight, they also involve the kids getting fed so that’s one less meal to worry about! 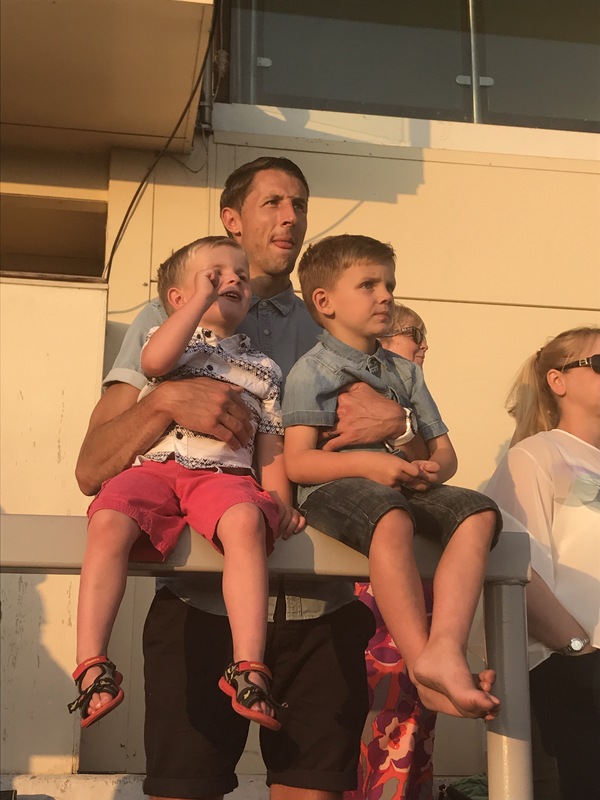 The main photo of Steffan and the boys is from when we went to Lingfield races in June. We went using a Wowcher offer and the kids absolutely loved it. I was worried they wouldn’t enjoy it but it was a beautiful summer evening and a lovely family activity. Kids go free but they are very much welcome. There is even a free bouncy castle for them to go on. They have been talking about it ever since and even pretend to be jockey’s in the garden. The other upside was we won enough money to cover the evening so it was a free activity. Obviously we can’t always bank on that happening. It’s been a busy few weeks as I have worked most weekends and my days off to earn extra money but it’s nice to know I have saved enough to enjoy the next 4 weeks off work.